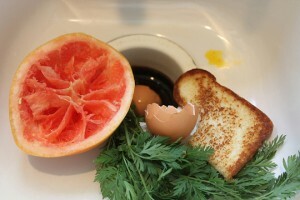 D o you ever wonder what can and can’t go in your garbage disposal? Do you just assume that you could put any food into the garbage disposal and all would be fine? Wrong! While garbage disposals are one of the most frequently used items in the kitchen, it may be easy to overlook how to keep it in top shape. 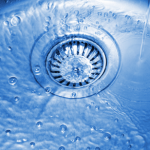 Here’s a look at 10 things to avoid sending down the drain. Avoid putting these things in your garbage disposal and avoid an unnecessary plumber’s visit. Avoid dropping down paper such as coffee filters, or bits of packaging as you are taking items out of their wrappers. Coffee grounds in excess can act in a similar manner to rice and pasta, clogging up both the blades and the pipes. The pieces of shell can linger in the pipes and eventually cause a blockage. Bones from items like chicken, or shells from shellfish can break off and get caught in the blades. If you are peeling a bunch of potatoes or carrots, place them in your garbage instead of sending them down the disposal. The peels in excess can gum up on the blades and in the pipes, backing up the system. Cherry pits, peach pits, nectarine pits – any type of fruit that has a hard, middle seed. Celery is string-fibrous and can produce the same affect as vegetable peelings. Avoid sending celery down in excess. 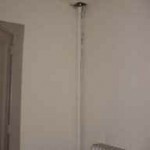 Fats and grease will adhere to the pipes over time, creating backups and clogged pipes. Starchy substances will stick to both the blades and the pipes. In excess, pasta can quickly cause backups. Rice is similar to pasta, and will cause backup when put down the disposal in excess.